Kathmandu November 04, 2011 – Nepal’s Major parties agreed to sign an agreement to end long awaited peace process of Nepal. what is in the peace process agreement? watch the videos below. 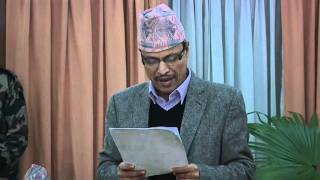 Nepal News: Peace process agreement. Peace deal between Parties to conclude the long awaited Maoist combatants to the peaceful end.